It is located in the southern side of the Region of Orihuela, bordering the region of Pilar de la Horadada. Its natural environment is surrounded by dry creeks with paths with wonderful landscapes. It is located in the southern side of the Region of Orihuela, bordering the region of Pilar de la Horadada. Its natural environment is surrounded by dry creeks with paths with wonderful landscapes. A beach composed of fine sand with all the services for leisure use and a children’s play area. This is the northernmost beach of Orihuela coast, bordering the neighbouring town of Torrevieja. It is noted for its innovative accessibility, as has a new elevator on the beach which gives direct access to the swimming area, and in 2010 it earned the Eco-beach prize. An open beach composed of white fine sand, located in a semi-urban area with high-density population in the summer time, it is currently being provided with all the facilities necessary to receive the seasonal tourism. A beach with an irregular shoreline, of varying width, shingle areas, sandy creeks and rocky areas, perfect for shuttle-fishing. The remains of the watchtower of Beniesma is located on this beach. The beach, of almost five kilometres, is of fine and golden sand. Its main attraction is its extraordinary natural environment, as it is located on the border of La Albufera Nature Reserve, a rich ecosystem where, next to pools and malladas (interdune depressions) all kind of vegetation intermingle, such as pines, palm hearts, kermes oaks, mastic and honeysuckle also sheltering several birds. The beach, of almost five kilometre long, is of fine and golden sand. Its main attraction is its extraordinary natural environment, as it is located on the border of La Albufera Nature Reserve, a rich ecosystem where, next to pools and malladas (interdune depressions) all kind of vegetation intermingle, such as pines, palm hearts, kermes oaks, mastic and honeysuckle also sheltering several birds. 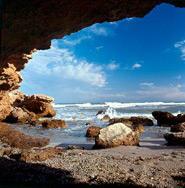 Located on the most southern extreme of the province of Valencia, it reaches river Molinell and beaches in Denia. Beach of fine sand with an environment marked by dunes covered with vegetation. In summer, Llebeig wind usually blowing in the afternoon, attracts several windsurfers. It offers the ideal place to practice diving . Located in les Marines area, it shows a semi-urban image very suitable to practise water sports. It has a beach-bar shack, aquatic motorcycles for renting, sun-beds and shades. Of important natural value: Places of community interest of Posidonia. “Els Molins” is a sandy beach, with an approximate extension of one and a half kilometres in length, it has beach-bar shacks, sun-beds and shades to rent, along with pedalos and windsurfing, there is also a windsurfing school. The beach is accessible with services for persons with limited mobility (access via Fonts). Friendly and quiet because of the natural environment surrounding it, this beach, divided into many creeks, combines rocky zones with sand. 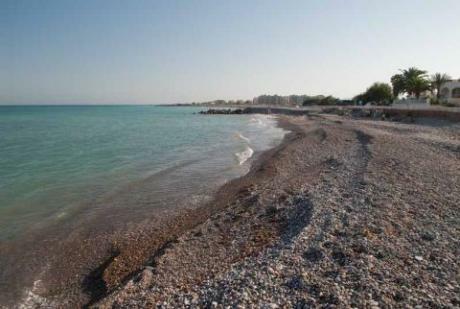 The Mediterranean wood shaping its environment and the interesting sea bottoms for diving are its major attractions. A perfectly conserved dune cordon gives a special attraction to this open fine sand beach of more than one kilometre extending from El Riuet dels Gorgs to river Vedat.